Where to Barbecue in Singapore? 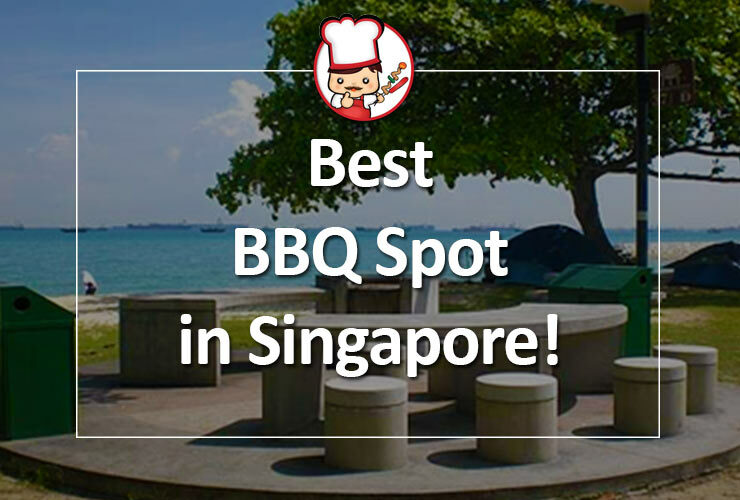 There are many nice bbq spots in Singapore that are suitable for small and big groups of bbq parties. Beach front resorts like NSRCC, Aloha Loyang, D’Resort and East Coast Park, Pasir Ris Park, Changi Beach are popular venues for private functions. 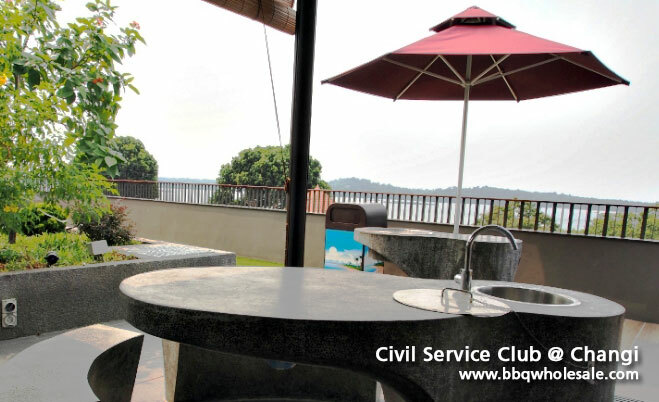 BBQ pits along the coasts of Singapore are always crowded with weekend retreats for family and friends. Below is a list of information on where to book the pits and chalets. 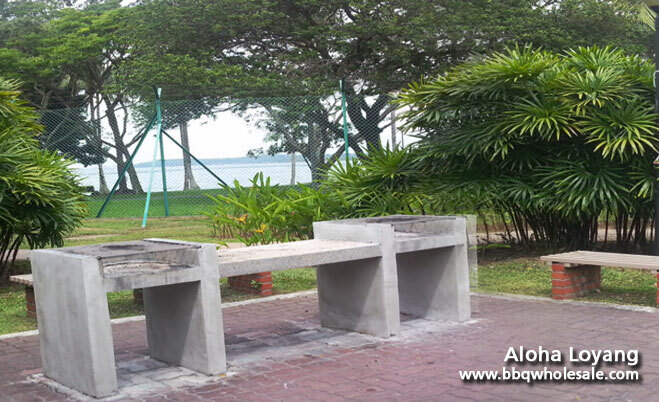 All the bbq pits are under the care of NParks and booking can be done at AXS machine or online. * Prices are correct at the point of research. Latest information may be obtained from AXA Online Booking. Most chalets and resorts in Singapore are equipped with basic needs like air-conditioned, shower rooms, beds, television, and barbecue area. It’s good to unwind and chill out with the sea breeze while having an outdoor barbecue with family and friends. Relish a relaxed feel and a comfy ambiance at the two-storey beachfront bungalows of NSRCC located in the east side of Singapore. Enjoy a spacious and stylish resort that is well maintained and furnished with everything you need, like air-conditioned rooms, shower rooms, LCD TV, kitchen, barbecue pit, living room & a dining area. Unwind and chill out with the sea breeze while having an outdoor barbecue with family and friends. NSRCC has a total of 40 bungalows with sports amenities and recreational facilities at the country club. Enjoy a memorable stay and walk around in the lush greens and tranquil seaside of the resort. Hosting a private function for a big group? Aloha Loyang is the place to be. Aloha Loyang is ideal for a big corporate event, family gatherings or retreats with its’ spacious area and facilities. Relax and take pleasure in the vibrant atmosphere of the sea side and nearby park. 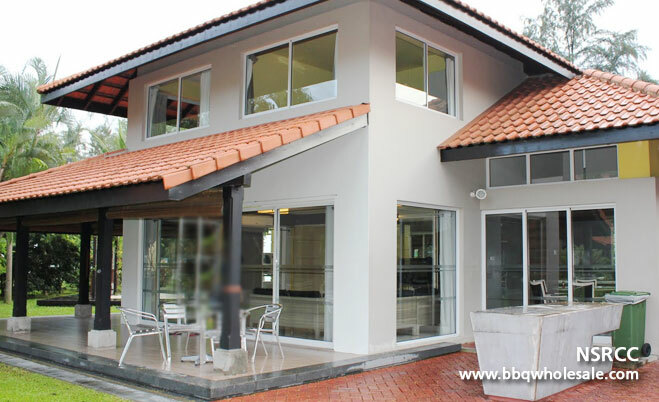 Aloha Loyang is furnished with kitchen, air-conditioned bed rooms, bathroom, living & dining area, TV and bbq pits. It has a total of 38 chalets complete with amenities, like a giant pool with jacuzzi, arcade, tennis court, children’s playroom, function room, cafe and multi purpose court. Enjoy a blissful moment with family and friends over a barbeque or savor a serene walk at the nearby park with the cool sea breeze. Longing for a family gets away? Plan your way to Downtown East located in Pasir Ris. Costa Sands Downtown East is equipped with air-conditioned bed rooms, bathroom, living & dining area, LCD TV, bbq pits and a free wifi access. It has a total of 315 rooms. The amenities include swimming pool, fitness corner, retail shops plus a nearby mall popularly known as E-hub with bowling alley, children’s play area, NTUC, and cinemas. 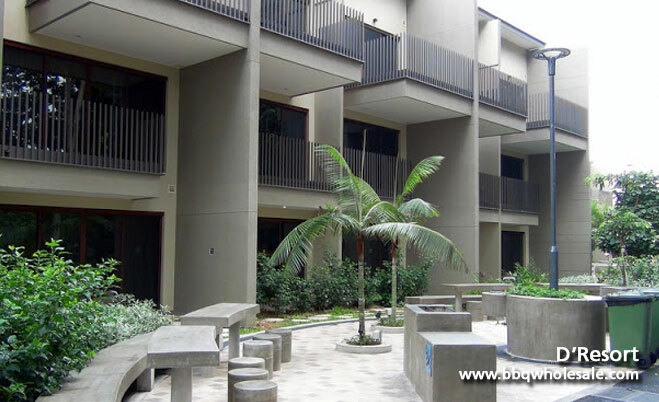 Indeed a family oriented place with so many sports and recreational activities to enjoy with your kids and friends. Enjoy swimming, cycling, inline skating, short stroll at the park, play pool or simply have fun at a social gathering over a barbeque. Unwind and take advantage of the fun-filled leisure environment at Costa Sands Downtown East. It’s truly a giant playground where any adult can be a kid. Newly renovated in 2015, it encompasses a five-storey sports complex – a great place for family staycation. If you enjoy staying in a scenic place filled with endless activities, then East Coast Park is a suitable place for you. East Coast Park showcases countless recreational and action-packed sports activities like inline skating, cycling, jogging, fishing, cable skiing, water sports, bowling, volleyball, kite flying, sand castle building, camping, picnics, wellness programs and not to mention dining and having a fun bbq by the sea side. Have fun sight seeing along the sea shore and enjoy the cool sea breeze, truly a habit forming activity for relaxation. Boardwalks built into this mangrove forest bring visitors closer to the inhabitants of the mangrove community. Bird enthusiasts can also observe birds from the 3-storey high Bird Watching Tower located within the mangrove forest. Another popular attraction of Pasir Ris Park is the Children’s Playground. With giant space-nets, cableways and innovative play stations, the playground proves popular among both young and old. Bored and looking for a place to have fun? Plan a weekend retreat with your family and friends at West Coast Park, known to be the “Play Centre in the West”. The park stands out with its’ giant kids playground, cycling track, bicycle obstacle course, running track, fitness corner, Taichi corner, bbq pits, dog corner, food and beverage area, grand lawn, shelters, sand play area, ponds and marsh gardens. With its’ famous “Adventure Play Area”, where young and old can enjoy the adventurous play tracks, challenging obstacle course, have fun riding the pedal GoKart, and the likes, West Coast Park so far is the most active and dynamic recreational area on the west side of Singapore. Play and have fun with your kids and friends! Seize the moment while it lasts. Want to take a trip to a historic, leisure and nature park? Labrador is a classic place to be, formerly a defense battery and now a designated reserve in Singapore located in Bukit Merah area. With a scenic view of the sea and the cliff side, you’ll truly enjoy the serene nature of this place. It’s indeed a provincial park setting. Bring your family and friends and experience a wonderful moment over a bbq pit surrounded by lush trees in the park and a tranquil view of the sea. Not to mention the social sports like jogging, cycling and fitness activities to complete your day’s work out. Looking for a place for the young and old? Punggol Park is a place with two areas both kids and adults can enjoy. This spacious park is located in the district of Hougang, known to have the “Active Zone” where the young at heart can relish the dynamic activities at the forested area and the “Passive Zone” for those who want a relaxed feel and enjoy tranquil activities. The park itself is equipped with bbq pits, café, fitness corner, exercise stations, jogging path, running track, pond, open lawn areas for picnic and shelters. Certainly, a social place to enjoy both relaxing and energy boosting activities with family and friends. It’s always a refreshing and inspiring feel to be surrounded by a scenic environment filled with trees, lush lawns, and peaceful ponds. Have fun and benefit from nature’s abundant reserves. Where to get ready-made BBQ Food in Singapore? After confirming your barbecue location, it is time to order BBQ food. The traditional method is to shop for food at the local supermarket, bring it home and marinate yourself. Why the hassle? When you can just buy pre-marinated delicious food all prepared for your BBQ event! BBQ Wholesale Centre is your perfect barbecue online shop to go to, with over 10 years of experience, your barbecue party is definitely in capable hands. 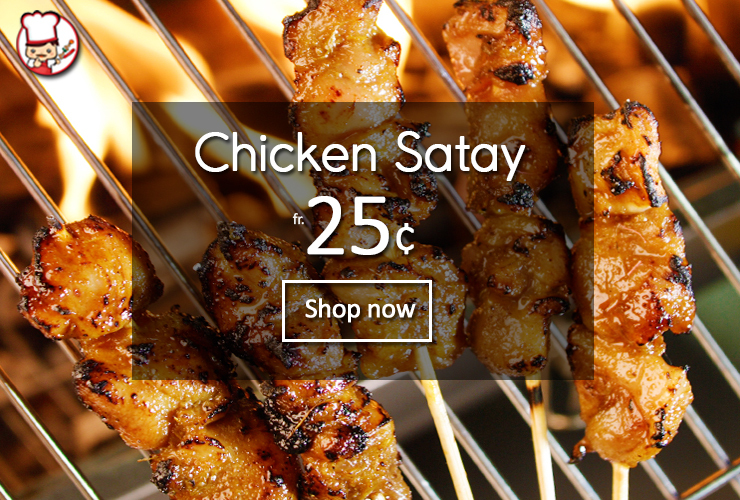 We provide a wide variety of local favorites such as otak otak, satay and sambal stingray at an affordable price. Moreover, barbecue accessories such as charcoal, wire mesh and fire starter are also available via their online store! All you BBQ needs under one roof. How do I order from BBQ Wholesale Centre? Will BBQ Wholesale Centre deliver to my BBQ location? Yes, they provide island-wide BBQ delivery within Singapore.